I distinctly remember the smell of cinnamon rolls baking in my childhood home. 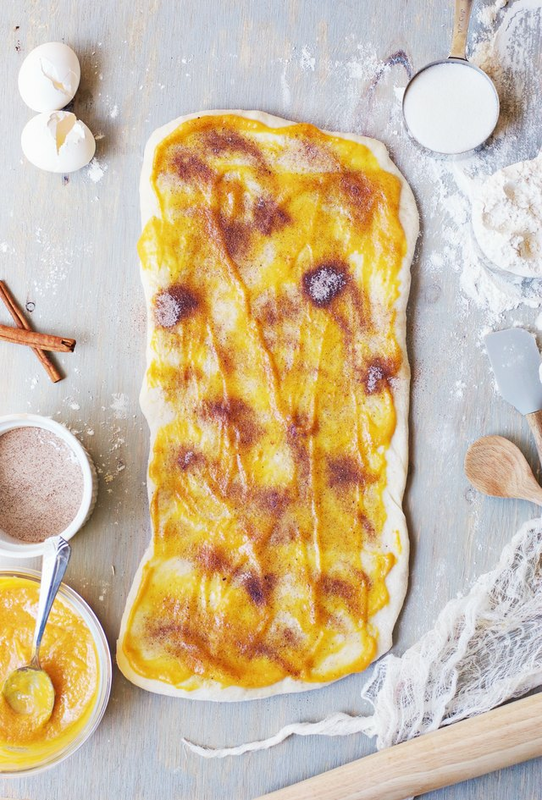 There was the faint scent of yeast wafting in the air as I walked by the bowl of rising dough, the perfume of cinnamon and butter melding together and the sweet aroma of icing melting on golden cinnamon rolls fresh from the oven — it's a recipe I associate with the comfort of fall, and I love creating it now in my own home. However, I decided to take it one step further and add a delicious pumpkin spice flavor to the mix. These pumpkin cinnamon rolls make a delightful breakfast or a decadent treat: just curl up in a warm blanket on a crisp autumn day, with a pumpkin cinnamon roll in one hand and a tall glass of milk in the other. Bliss. Heat the buttermilk in a small saucepan until warm. In the bowl of a stand mixer, add the shortening. Pour the warm buttermilk over the shortening until it melts. In a separate small bowl, activate the yeast in the warm water. (Add a pinch of sugar to get it activated more quickly.) Then, pour the eggs, granulated sugar, salt and yeast into the stand mixer and mix on medium speed for about one minute. Switch out the paddle attachment with the kneading attachment. Now, pour in four cups of flour and mix on medium for about one minute. Add in the remaining three cups of flour until the dough is smooth. Place the dough on a well-floured surface. 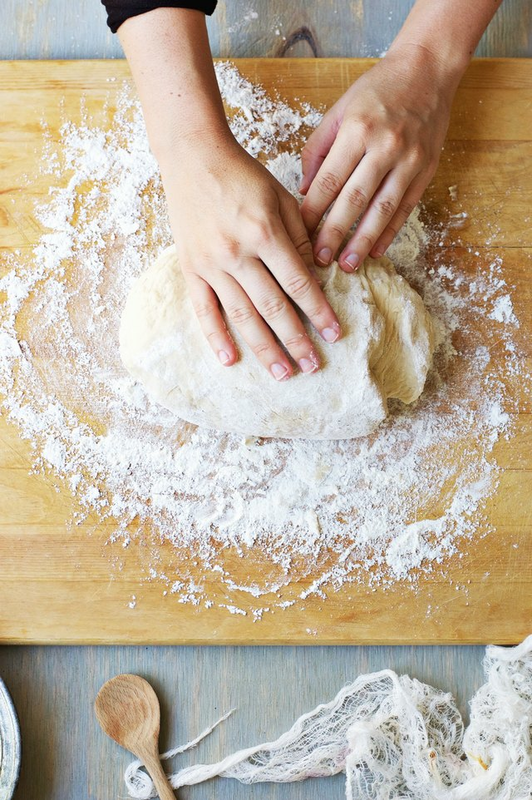 Knead with the heel of your hands for 5 minutes, until the dough becomes stretchy and pliable. 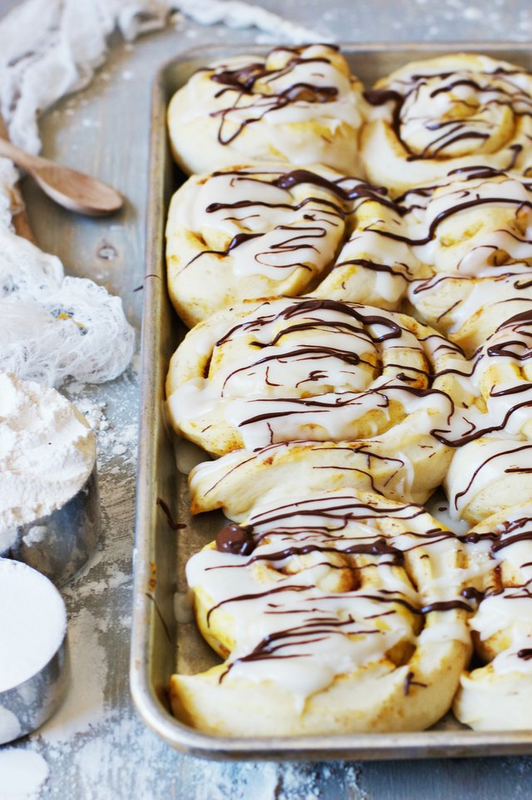 This is important for creating light, fluffy cinnamon rolls. Place the dough back in the bowl and cover. Let it rise for about 1 to 2 hours until it doubles in size. Preheat your oven to 350 degrees Fahrenheit. Once the dough has doubled in size, punch it down to release the air, and then divide the dough in two halves. Use a rolling pin to roll each half into a long rectangle that's about 14 inches x 8 inches and about 1/2 inch thick. Next, mix together the melted butter and pumpkin puree. Spread half of the puree mixture evenly on the rectangle. 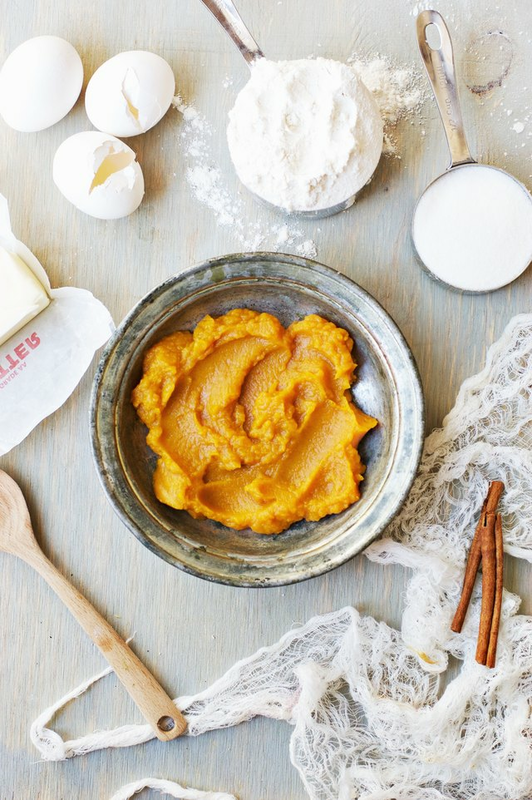 Mix the sugar, cinnamon, nutmeg and cloves together in a small bowl, and sprinkle half of it evenly on top of the puree and butter spread. Starting at the bottom, roll the dough tightly until it is a complete roll. Use a sharp knife to cut the roll into one-inch slices, and place each roll on a greased cookie sheet. Repeat the process on the other half of dough. (This recipe should make two dozen rolls.) Cover and let the cinnamon rolls rise until they double in size, or for about one hour. Once risen, bake at 350 degrees Fahrenheit for 15 to 20 minutes, until edges are slightly golden. While the cinnamon rolls are baking, melt the 1/2 cup butter in a saucepan over medium heat. Add in the powdered sugar and milk, and whisk until smooth and thickened. Melt the chocolate chips in a heat-proof bowl for about two minutes. Stir well until smooth. 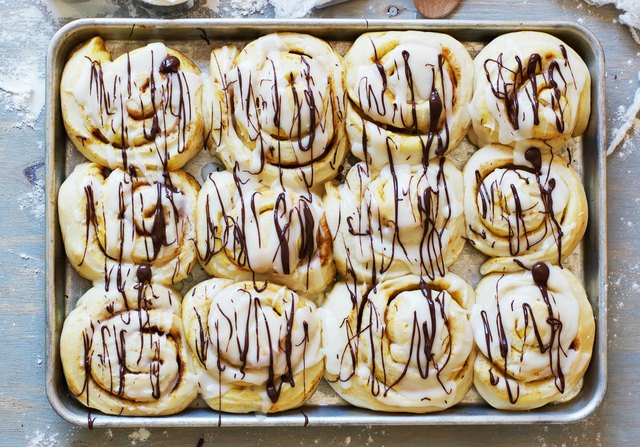 Remove cinnamon rolls from the oven, and glaze each pumpkin cinnamon roll with icing and a drizzle of chocolate. Serve while warm and enjoy!